‘If we win the election 2015 the next Labour government will freeze gas and electricity prices until the start of 2017.’ This was meant to be an eye-catching, applause generating line and it was. And deservedly so. This is a brave commitment. It will be spun by the media as anti-business, anti-market, back to the past, ‘Red Ed’ playing to the old left. It is none of those things. It does, however, address the key political imperative in energy policy. There is nothing the Government can do about energy prices which are set globally. But it can do a lot about energy bills which are determined locally. It is anti-business. But only some businesses. It is anti the six big companies that provide our gas and electricity. The same companies that Which recently calculated had overcharged British consumers £3.6 billion. But anti the Big 6 is pro the whole of the rest of the business community. So when you hear Angela Knight from Energy UK telling you how bad for business Ed’s big idea is remember who she is speaking for – the Big 6 and no-one else. You might also remember that before she spoke for them she led the British Bankers Association campaign for the light touch banking regulation that resulted in taxpayers spending tens of billions to bail out the banks – so much for market discipline! The truth is that this will be good for the economy, good for consumers, good for most businesses and good for the environment as well. Not a bad quadrifecta. But can it be delivered without the lights going out. The hullabaloo surrounding the speech has concealed two other announcements that matter. Ed Balls repeated his pledge that a Labour Government would allow the Green Investment Bank to borrow from the capital markets. Caroline Flint also announced that the much criticised Green Deal and Energy Companies Obligation policies would be scrapped. The Coalition was warned consistently over the past year that not allowing the GIB to borrow would cripple the Green Deal. It ignored those warnings and has paid the price. It was also told clearly and consistently that the ECO was a weaker and less effective scheme that those it replaced. Scrapping these schemes and allowing the GIB to mobilise private finance more effectively and create a better designed replacement to deliver for consumers. The Miliband big idea is a very strong signal to the energy utilities to get with the future and stop trying to hang on to its privileged past. This is a future in which energy efficiency is the top priority for energy policy. Sharply reducing electricity demand by super insulating our housing stock and making our electricity system smarter will avoid any danger of the lights going out. When you reduce demand, you reduce bills. It is easy to understand why the Big 6, with a business model that depends on increasing demand don’t much like this idea. Nor will they welcome the second priority for delivering more affordable energy. 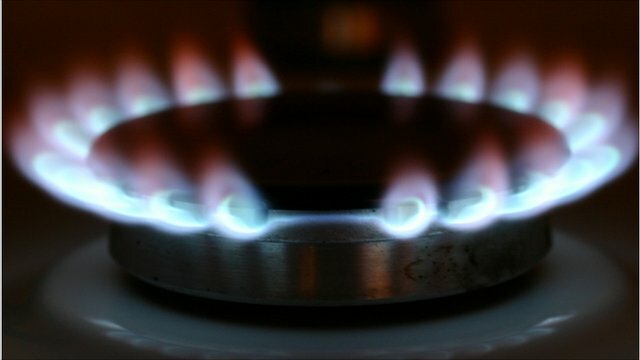 Currently the bulk of our gas and electricity is delivered to consumers by the Big 6. A smarter energy system will prioritise community renewable energy schemes giving consumers and businesses and local authorities the chance to take much more direct control over energy security. This will mean thousands of decision makers shaping our energy supply not a small group of corporate executives and an even smaller group of Ministers. The Coalition’s current energy policy, as manifest in the Energy Bill going through Parliament requires Ministers to decide how much electricity will be generated by which technologies over how many years – the total antithesis of a market. These measures are all investments in a British energy infrastructure fit to compete in the 21st Century. They will deliver jobs, underpin growth, be fair for consumers and all non-energy businesses, oh, and by the way, they will really accelerate the decarbonisation of the energy system.